Both the SPturbo upper and lower main bearings have oil grooves to gain the oil feeding into the oil holes on your crankshaft journal. The awesome improvement can increase the oil circulation to the conrod bearing that works under more severe conditions than the main bearing. 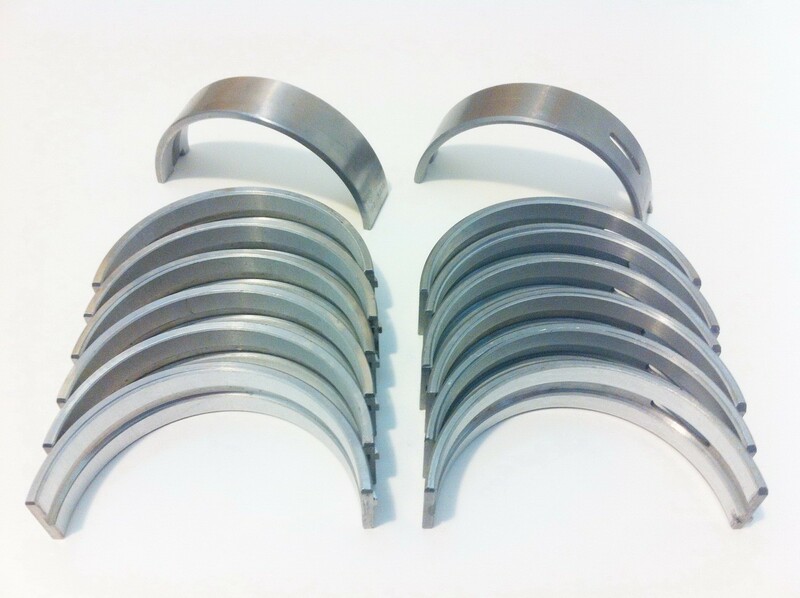 Engine troubles are mainly caused by damage in connecting rod bearings, such as the relentless hard vibrations, the bearing seizing by the poor oil circulation and so on. Increasing the oil pressure and quantity to improve the oil feeding is a general way to prevent the damage. 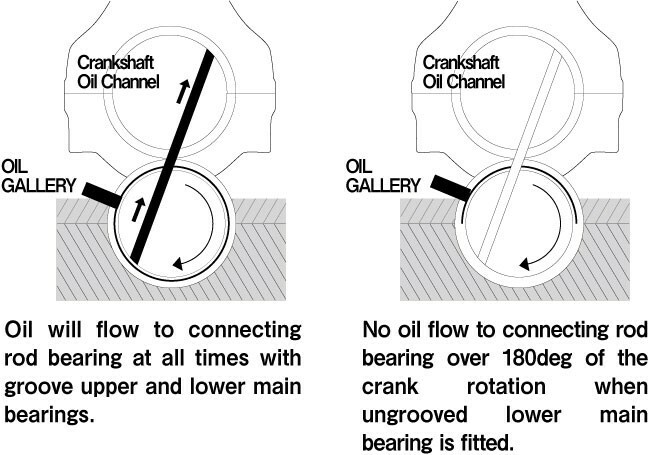 One of the oil holes on the crankshaft journal is a 180-degree contract to the other. The genuine bearing has only one oil groove in the upper side, it means that just one of the holes can supply the oil to the crankshaft journal at all times. In contrast to the genuine, the oil can circulate inside SPturbo main bearings because both of our upper and lower bearings have grooves that are allowed to send the oil pressure to the crank rod journal holes for full 360 rotation. The grooves promote more oil circulation to the connecting rod bearing. These bearings have been tested 1200 HP!! Heavy duty high load Main bearing set for all VR6 engines.